You'll be £14.99 closer to your next £10.00 credit when you purchase Auschwitz Death Camp. What's this? 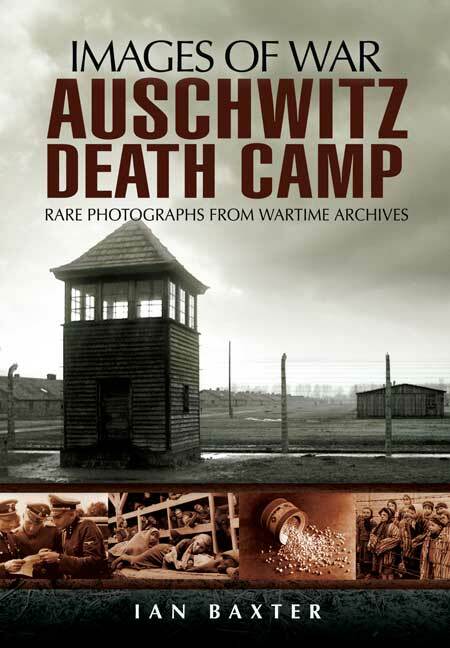 Auschwitz Death Camp is a chilling pictorial record of this infamous establishment. Using some 250 photographs together with detailed captions and accompanying text, it describes how Auschwitz evolved from a brutal labour camp at the beginning of the war into what was literally a factory of death. The images how people lived, worked and died at Auschwitz. The book covers the men who conceived and constructed this killing machine, and how the camp provided a vast labour pool for various industrial complexes erected in the vicinity. Auschwitz Death Camp is shocking proof of the magnitude of horror inflicted by the Nazis on innocent men, women and children. Such evil should not be forgotten lest it re-appear. This is a very valuable piece of work, showing in a way that words alone can not equal, the calculated nature of the evil that took place at Auschwitz. That chilling first sentence of the description of this book might put some people off, and might enthuse others to read on. For anyone who still needs to know the full horrors of Nazi atrocities, this book will satisfy their curiosity as to the part played by Auschwitz death camp in Poland. Chilling indeed.